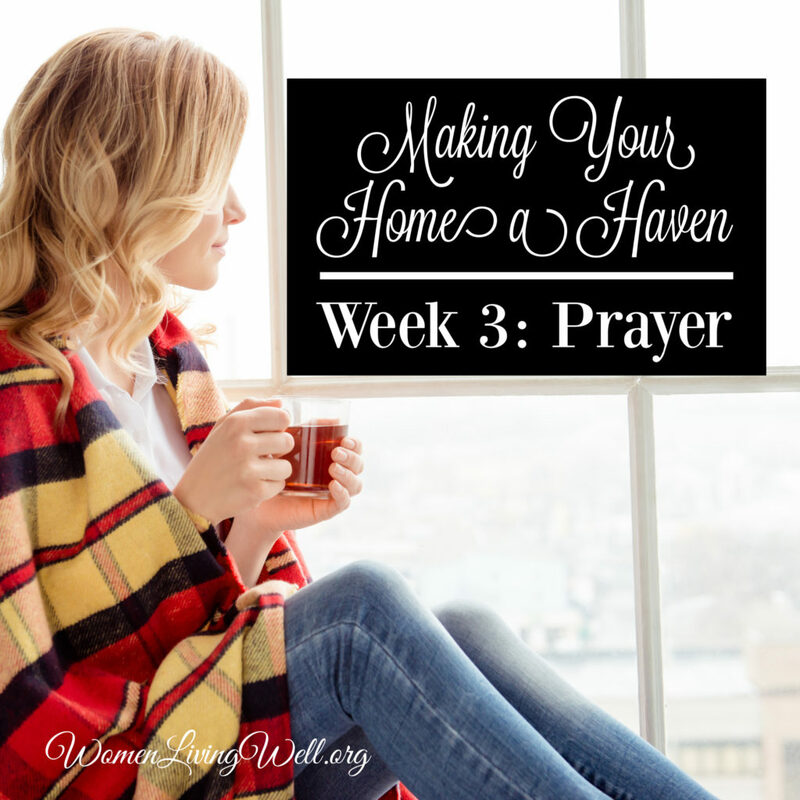 Welcome back to Week 3 of the Making Your Home a Haven Challenge! This week’s Spiritual Focus is Prayer. I was recently listening to a podcast where the man said that some Christians today have more of a “Cruise Ship” mentality than a “War Ship” mentality. What he meant was that some Christians seem to want to live their life trying to entertain themselves. Parents have become the “Fun Directors” of the family. But we cannot fulfill the great commission this way! Instead – we need to remember that we are at war against the enemy of our souls. God wants us to bring all of our worries and cares to him in prayer. Why? Because there is an enemy who wants to devour us. And when that enemy strikes, we will only be able to stand firm in God’s strength. Since this week is a holiday week – it may be harder than most to squeeze time in for prayer. Some of us are traveling, others are hosting Thanksgiving at our house or have big shopping plans and decorating plans. Finding time to pray is not going to be easy! In the past, I have described prayer as a wrestling match. Have you experienced this? You sit down to pray, and within one minute your brain is distracted? I start thinking about my to-do list, or I get interrupted by the kids or worse, I drift off to sleep! It’s like a thousand invisible enemies seem to fill the air the minute I sit down to pray. One way I fight off the enemy is by continuing to daily light my candle and each time the flicker of the candle catches my eye – I am reminded to pray. Another solution to my wandering mind is to journal my prayers. For over 25 years, I have kept a prayer journal. 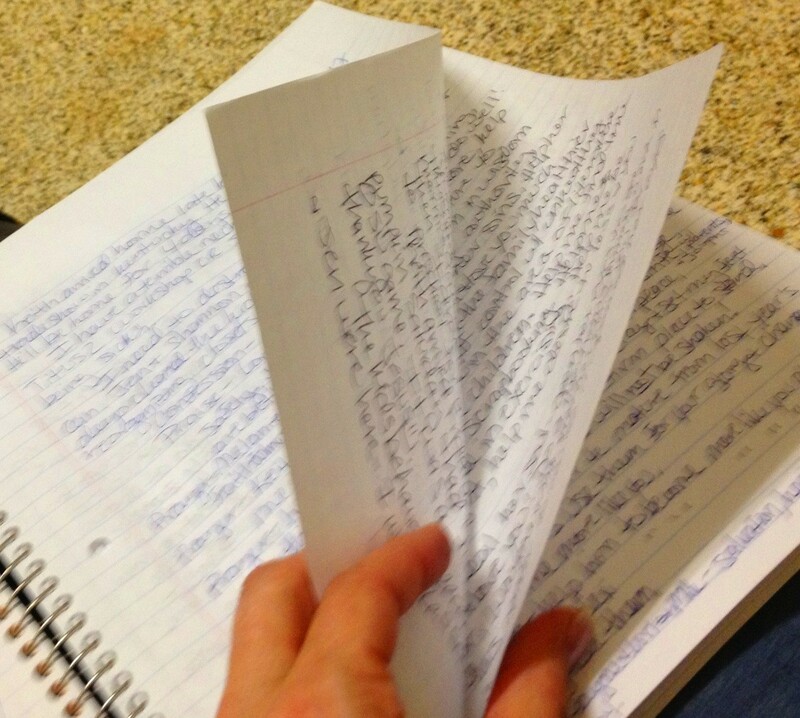 Sometimes I write prayer lists and other times I write long letters to God. 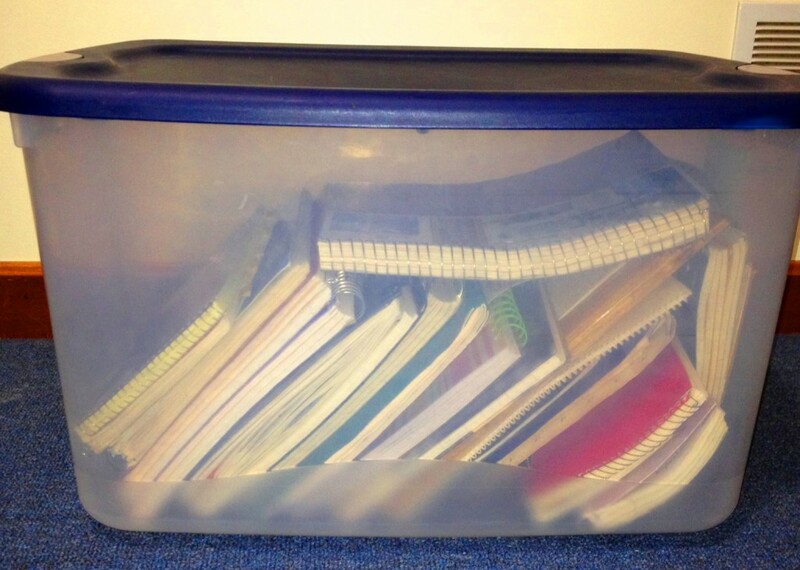 Recently, I opened one of my large bins filled with my old journals and I sat down and read one notebook after another. I was moved to tears by some of the things I had forgotten that God had done in my life or the ways that God had comforted me through dark times and blessed me in good times. I cannot recommend journaling highly enough. My journals have never been costly but they are priceless to me. So though it’s hard to fit long extended prayer times into our daily lives – it is possible and it is precious and worth fighting for. So let’s make a plan to pray this week! Grab a journal, set your alarms, light your candles, or simply fall on your knees and go to the Lord in prayer. He loves you and He is listening! Keep your candles burning, the music playing and purchase a small bouquet of flowers for yourself. Like the candle and the music, let the flowers serve you with their beauty and be a daily reminder of God’s love for you. **Share with us – What’s your plan? And can our community pray for you? If you have a prayer request – leave it in the comment section below. don’t forget to follow me out on –> Instagram! These newly released 3-Month Habit Trackers are a great companion guide to our series but they ARE NOT necessary to join us! 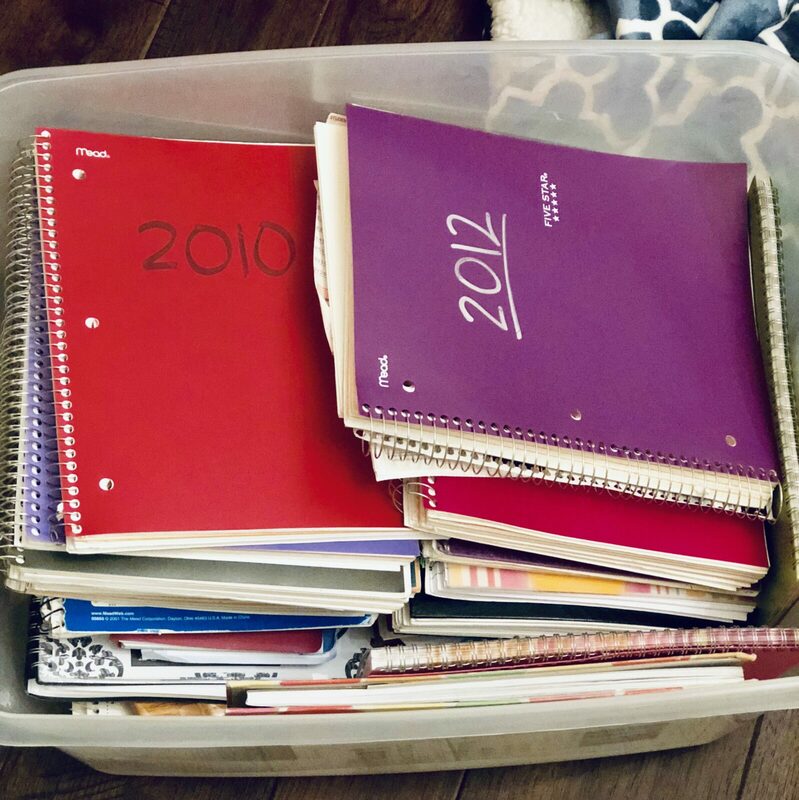 These trackers include a Prayer Request Tracker, Proverbs Tracker, Old and New Testament Tracker, Sleep Tracker, Calorie Tracker, Health Tracker, Housework Tracker, Notes Tracker, Gratitude Tracker, Meal Planning Tracker plus 90 Journaling Pages in the back. All three Habit Trackers have identical interiors. Good day ladies, I got up to do something else and was lead to pickup my tablet and open to my email. This was the first one this morning. I do believe in fate and I know this is what I as supposed to do this morning! Thank you ladies for this site because from now on, I am going to include Bible reading and prayer, somehow in my life. I have to because t seems doing this journey by myself is not working. I worry about my life, my husband (who has a rear disease), and my children who seem to want to do things their own way. Just pray for me and I will be in touch. I’m just getting started and I’m going to print out the daily Bible reading guide to start and go back for the other 2 weeks of the “Make your home a Haven.” Thanks again. We are here for you but more importantly God is! He hears you and loves you. You can trust Him! Praying for you! Your passion to stay committed to living intimate to our Lord and King is do encouraging to me. I need prayer, I have been so distracted and find my mind wandering off. Your words have really confirmed to me what I have know. This is so not like me, pray for me to center my soul to put God first and to give him my best. I love these challenges, and I love how powerful prayer is. I have a prayer request: I am on a weight loss journey and for the last few weeks my mind has circled all around food to the extend that I get very stressed about it. So please pray with me that I can take my mind of the food and concentrate on God’s gifts and his good plan for me, and that I can make right choices. Choices to honor God with my body, with my whole life. Thank you for this reminder! I have a friend at church that has committed with me to be a prayer warrior. We pray for the spiritual battle that is raging within the church and leadership body. It has been amazing to feel the Spirits leading. Thank you for sharing from your heart. Something I learnt and truely believe whilst studying on ‘ making your home a haven’ is: WHAT YOU FOCUS ON, WILL GROW. I sincerely want to encourage you to put all of that pain and worry in trusting God and watch as He turns that sorrow into a haven of peace, all the way to the point that you begin to see with His eyes and understand even more. Then you will know the right words to say or the right actions to take when necessry. Don’t underestimate the power of prayer and faith in this matter, fight on your knees with a mind set on the promises from above and an open heart. I’ll be praying with you sister. God bless you. Malinda – sweet sister. You are not alone. I too am a sexual abuse victim from the hands of a relative. Holidays are challenging where fear and sadness can grip my soul. I’ve learned that God is far bigger than my pain and those that harm. I’m praying for you and for your family. I pray they surrender to Christ and Repent for their sins. One thing I would suggest – have accountability or someone to help you determine God’s will for a relationship with them. It may be God protecting you by you distancing yourself. I don’t know….I just want you to know you have a might King and army battling for you. You are mighty with His power. I want to encourage you to focus not some but every ounce of your energy on finding ‘ your identity’ in Christ. Don’t allow the pains of yesterday to determine what your day will be like and find someone that you can trust and simply talk and end in prayer. May you experience yourself hidden under the shadow of His wings. You are already blessed! I am so thankful for this study. I share it with other Godly woman in my life. I strive everyday to live as God wants me to and know he loves and forgives me when I get distracted or fall. Thanks again I love getting these studies. It has opened my eyes and given me confidence and I have done one Bible study myself on the book of Ruth and Plan to do another on in January called Open Your Bible. Morning ladies and to you as well Courtney. I love all of your studies. Please pray for guidance in the purchase of a different vehicle for my son. It is one thing I absolutely hate doing…but it needs to be done. Prayers to all of you in any form that you need. Lord knows not a one of us is free from worries or worrisome thoughts. Let him be our hedge of protection this day and guide our steps. Both of my children are young adults now. One is still at home working a full time job while trying to save money to go to school. Another lives in a different state.She is doing online school and working a full time job as well. She is also in a serious relationship. My prayer is that both of my children continue to seek God for EVERY decision they have to make. I also pray that they will keep Him in the center of their lives. They are both Christians, but I am not sure they are following God for all decisions. Thanks for any prayers on their behalf. Can you share the name/speaker of the Podcast you refer to at the top of this piece? When I wrote this post I could not remember which podcast I heard this on but a commenter on Facebook reminded me – it was on Focus on the Family with Dr. Ireland here: https://www.focusonthefamily.com/media/daily-broadcast/developing-a-love-of-prayer-in-your-kids Good stuff! I am blessed by this. Thank you for doing this challenge. My prayer request is please pray that I can be able to speak the truth in Love no matter the resistance. Thank you. Blessings! I love the idea of writing out our prayers! I always felt like journaling was kind of like writing a rough draft of something I needed to repeat out loud, I’ve held the vague idea that God knows our written prayer but not accepted that writing it out is enough. I never thought about how much God communicates with us through written word. I have really been struggling with prayer lately, on one hand I feel like I talk with God in little bits all day but (on the other hand) having a dedicated prayer time has not been working well, I really feel like this will help with that. Thank you! Seeing this makes me wish I kept all of my old journals! With all my moves etc they have all been thrown out or I even remember crossing things out in them. I can’t believe I did that. But from here on out I am going to make it a goal to write in one everyday and pray everyday for every year of the rest of my life. Even if it is just a little bit! Please pray for my son who has professed to be an atheist. Pray for Holy Spirit conviction so strong on his heart that he can’t rest until he accepts Christ as his Savior. Pray God will be long suffering long with him enough that I will die first. No mother should bury a son knowing he is headed for Hell. This is my most fervent prayer. I have other lost family members, remember them also. Hi Courtney! I want to thank you so much for all the material you have available for us! I am learning so much about Gods love and the Bible thanks to you. Was wondering what the next book of the Bible you”ll be teaching and when. Thanks again for all you do!God Bless you and your family. I will be announcing the next Bible Study around mid-December – so the information is coming soon!! Prayer time is always my hardest to accomplish, because of the many distractions, and honestly a lot of times my lack of discipline in this area. This morning as I was reading Week 3, the song “Only Jesus” kept popping up in my mind. My desire is to draw so very close to my Lord and Savior, as “no one else will do” and so I ask that you consider lifting me up in prayer, for a deeper and more intimate relationship with God, and for a disciplined and consistent prayer life. Praying for you and your community. Praying for God’s peace and presence. I am so sorry for what you and your town is going through. Today I happened to “stumble” across this website, and this post was just what I needed. You see I have been struggling with distractions during my alone time with the Father. Those little air minions distracts me and sometimes I don’t realize that’s going on until I catch myself wondering why didn’t Jack tell Kate, Randall and Kevin about his experience in Vetenam (This Is Us). But I digress. 😐 Your tips on how to combat distraction are helpful and timely. I will definitely jump into the 3rd week challenge. I do have a question. Do I have to wait until January to join a community? Please send any suggestions. Thank you in advance and have a Blessed Thanksgiving. I’m so glad you found us here! And I’m so sorry but we will not be regrouping until January – but that is just around the corner – so please check back then! I’ll be announcing our next Bible Study mid-December – so it’s coming soon!!! Hi Courtney! I am new to hearing of Edith Schaeffer. I was wondering if you have a book recommendation of hers I should start out on? Thanks in advance! Thank you for this challenge! I have a prayer request.